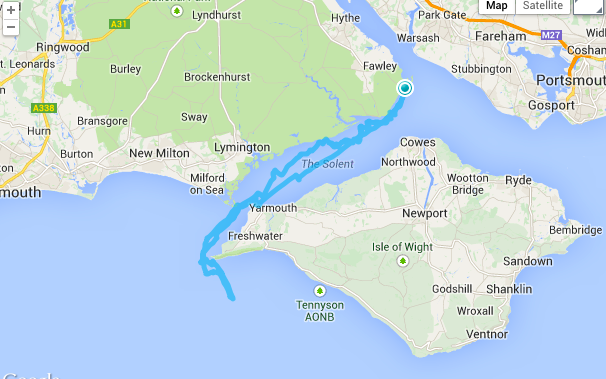 Circumnavigating the Isle of Wight by Windsurfer attempt 2. This time it’s personal. 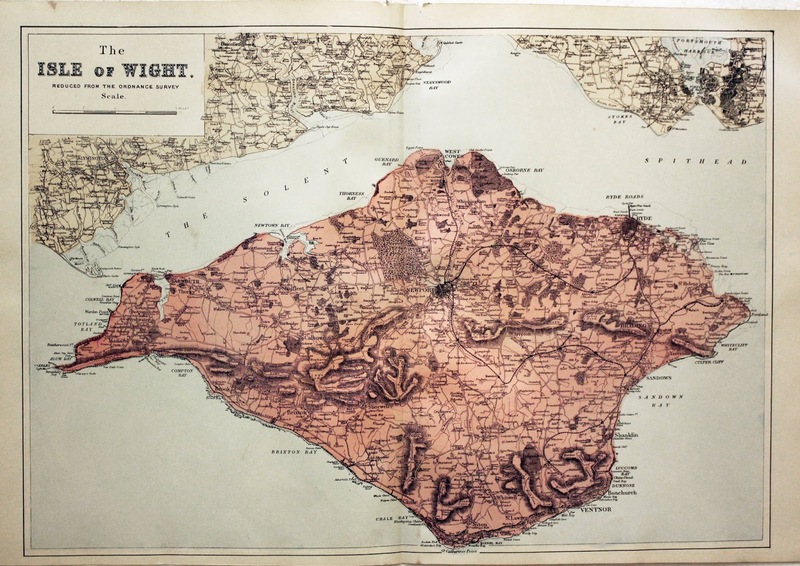 The Isle of Wight. Stubbornly big. Earlier this year I decided I needed to tip my work/life balance a little more in favour of life. And when I say life I really mean adventure. To get things started I pledged to windsurf around the Isle of Wight, and sold the family TV (but that’s another story). My brother Jono, and friend Clyde Waite both quickly joined the mission (the Isle of Wight mission, they still have TVs). And so three blokes in the beginnings of a mid-life crisis set about acquiring suitable equipment on Ebay. Since none of us had or can afford a safety boat, we wouldn’t use one, so our gear had to work whatever the weather. This meant only one type of board was suitable, longboards (also known as raceboards). These experienced their heyday in the 1990’s, and some still exist in the back of garages or abandoned at the bottom of gardens. Both Jono and Clyde had some experience with this type of gear as teenage racers, while I would play the part of the useless novice, a role I am familiar with in life generally. By early June, we were far from ready, but gave it a go anyway, setting off from Avon Beach too late one morning when the tides weren’t perfect and the wind forecast was pretty bad. Unsurprisingly we got stuck hundreds of miles from home and had to call on the taxi services of another friend to come and pick us up. But we had a terrific day out, got sunburnt and learnt some valuable lessons. Slightly miffed to not have conquered the island first time around we pledged to have another attempt. For those that prefer to start at the beginning. You can read about the first failed attempt here. So what did we change for this time? First step was ditching the dead wood. OK, Clyde may be a former national race board champion, former RYA coach, all-round expert windsurfer and the owner of this blog, but we had to be ruthless. He was holding us back and had to go. (That’s actually not true, the reality is that he’s simply a teacher, so naturally spends months of every summer resting on well-earned foreign holidays because he works so incredibly hard until 3.30 each day, just like all teachers do, sometimes for up to six weeks at a time before a half term or going on strike.) I’m really not bitter, I’m just jealous. Anyway. Whatever the reason, Clyde was out of the picture. This time it was just the two of us. Second step was to upgrade the kit. Specifically the sail sizes. First time around I’d thought a 7.0 freeride sail would be perfect. I was considerably slower than the other two and blamed this entirely on my equipment. Since I’d bought the fastest board, the sail had to be at fault, so I’d been back on Ebay and got a 9 metre with camber inducers. This would be like adding two turbos and a heavy metal rock soundtrack to my set up. We kept on the old style race boards, me on a Fanatic Ultra cat with a now dubiously soft deck (but still a steal at £70), Jono on a 1996 IMCO (£50). Third step, we’d pay considerably more attention to the weather this time around. Still not enough it turned out. But considerably more. And so it was that Hurricane Bertha spun her magic over the Atlantic and blew apart the British summer, waking hibernating windsurfers from their slumber across the UK like a spring thaw rouses Canada’s bear population. Probably. Three days of solid wavesailing felt like a good warm up, but more importantly made us realise that the days were getting shorter and the weather had broken. We wouldn’t get many more windows of opportunity this year, but the following weekend looked possible. The tides weren’t perfect, but with enough wind, this surely wouldn’t matter. But as the next weekend got closer, it looked more and more like a wavesailing forecast, rather than a jaunt-round-the-island type August day, so I played the ace up my sleeve and took Monday off work (can’t do that can you teachers? Ha!) Happily having already booked the Sunday off from family duties I was able to punt around Kimmeridge for a few hours on a 5.3, but was reasonably careful not to overdo things. That evening we ran around stuffing energy bars into backpacks and made our plans against the island for the next day. The wind looked OK, a westerly of about 20 knots until midday, then dropping closer to 15, but no chance of totally disappearing for hours as had happened on our first attempt. The tides weren’t so good, high tide was about four hours later than perfect for setting off from Avon Beach, but we were able to ‘adjust’ this by starting mid way up the Solent at Calshot, meaning we should be pushed up to the Needles with the tide, nip around as it turned, and be flushed all the way down the back of the island. We’d aim to leave the beach by 9.00am. I was pretty confident we’d be back in time for afternoon tea. I’ve since done a bit of research into the few attempts to windsurf around the IOW that I can find recorded on the internet. Some teams from the armed services attempted it in 2010. They set off in teams of 2, each backed up a safety boat. Some just sailed one or two ‘legs’ but some went all the way around. The reports state how hard they found it, one estimated it to be like four marathons back-to-back. Now they were raising money for charity, so needed to talk it up a bit, but still, I’m pretty sure I couldn’t run one marathon and I certainly wouldn’t like to try. One of these guys had another go in 2012, with another friend, one on a Formula board and the other on an Exocet Kona (a modern board that is like an old raceboard, but much worse (windsurfing is a strange sport)). They got around (very impressively I now realise), in something over nine hours. They also had a boat following them around, probably packed with mars bars. What’s clear in both cases is how seriously these sailors took the attempt, something that we had so far rather failed to do. Getting ready to go, Calshot. Calshot at 9am didn’t look very windy. But the wind was cross off, and a couple of yachts coming out of Southampton water were heeling over a half mile out, so we rigged and got on with things. The parking meter gave a choice of 6 hours for £3.50, or 20 hours for £4.00, and after a short internal battle I went with the extra 50p. We wouldn’t need it, but just in case. Actually a funny thing happened with the car parking. I hadn’t remembered to get any change (we’d been hoping to stop off at a petrol station and get a coffee, but there weren’t any on the way). But as I was standing by the parking meter wondering if I could bring myself to figure out how Ringo works, a man walked by. I politely asked if he had any change. He sighed and hefted his bag off his shoulder which was filled with thousands of coins. Turned out he was a bus driver going for a walk with his cash register. Weird, but a pretty handy guy to bump into if you need change of a five pound note. In hindsight I should have asked if he had any coffee too. Anyway. We set off at 9.30am, and after four hundred yards of swirling gusts the 9.0s did their thing and lifted the raceboards up on the rail. We dug in for the long upwind beat to the Needles. Our previous around the island attempt had also been my first attempt at railing, but I’m now a convert. In fact I’d say railing a raceboard is up there as one of the finest sensations in windsurfing. Of the one’s I’ve tried at least. It has all the comfort and balance of cruising in the straps and harness when planing across the wind on a short board, but you feel part of this powerful machine as well. It’s the difference between pottering around town in a Ford Fiesta, or eating up the miles in something German with a big engine and leather upholstery and a blond with green eyes called Helga in the passenger seat. And you absolutely charge upwind. Within a half hour we’d reeled in and powered our way past the two yachts we’d watched as we were rigging up. We were even keeping pace with a fast fishing boat motoring straight upwind. When we turned a slight corner and the entire western scale of the Solent was revealed to us, a short sharp chop spoiled some of the fun, but we were still making fantastic time, covering the 13 odd miles to just before Hurst Castle in barely an hour and a half. We stopped on a small beach on the island side for a drink - Jono had forgotten his camelback, and was relying on bottles of Lucozade in his backpack which he couldn’t access when sailing. But we quickly re-launched and got a shock, in the five minutes we’d been ashore the tide had turned. At Hurst Castle the wide expanse of the Solent narrows to little more than a mile across, and we guessed that the tide might get a bit feisty here, so wanted to get through as quickly as possible. We tried a short tack, staying close to the shore to keep out of the tide, but barely made any distance upwind. It wasn’t just the tide, the wind was also dropping. So we tried going further out, hoping for more wind and eventually found it, just getting back onto the rail and pointing the noses straight through the narrows. As we approached the water first went super flat, accelerating us into the gap, then we hit the swirling whirlpools as the tide raced through against us. The gust we’d found blew itself out, and the boards dropped off the rail. Like this the boards were still slicing through the water, but barely making headway over the ground. Nonetheless we slowly eased past the castle. And as we slipped out of the bottleneck the strength of the tide dropped away, allowing us to complete the escape. We didn’t look back. We had another problem to worry about. The Needles were still about four miles ahead. And with the tide now against us and the wind too light to get up on the rail, it was a big ask to get there. We were still moving forward at around six knots, but the water was pulling us back at maybe three. We ground it out, fighting for a couple more hours and crawling out past the giant cliffs, then past the three stacks of rock that make up the Needles to the lighthouse on the end. Once we were maybe thirty metres upwind of the Needles lighthouse we freed off and raced across in front and onto the south side of the island, the tide pulling us back closer than we felt comfortable getting. We kept going to get well clear of the rocks then dropped the sails to have a look around. Before our first attempt at circumnavigation it hadn’t occurred to me it might be scary out here, but I’d still had to fight to stop feel mildly panicked as we’d sailed past. The rocks are big, and the swells and tide push against them with easily enough power to rip apart a windsurf rig should you be washed against them. There are weird overfalls and breaking waves where rocks sit just below the surface. I didn’t know at the time but four of these rocks are actually the only remaining parts of the Greek steamer Varvassi which was wrecked here in 1947 when it tried and failed to pass in front of the leading rock - exactly as we’d just done. We probably sailed right over the top of it. This time around I’d had plenty of time to think about where we were heading, and what an intimidating place it was. I’d rationalised it by thinking we’d be passing by pretty quickly, but the slow crawl against the tide meant we’d been out there for much longer than I was comfortable with already. But it was also beautiful and strangely exhilarating to be there on something as insignificant as a windsurfer. So we rested a little longer, sitting on our boards with the tide now slowly taking us the way we wanted to go, down the back of the island towards St. Catherine’s Point. We just sat and took it all in. It’s not just the Needles rocks themselves, the cliffs are massive and an awesome sight from the water. There’s a small beach at the base of the cliffs on the south side, which almost looks inviting. I read later it’s called Scratchells Bay, thought to be after an ancient name for the Devil. You can only get to it by boat, and in 1890 the iron hulled sailing ship Irex was wrecked here in a storm. Some of the crew drowned right away, but the rest were eventually winched up the cliffs, 120 metres up. A few lumps of this wreck can still be seen at low tide too. There are lots of other rocks guarding the entrance to the bay, all named after wrecked ships and those that died on them, or died trying to save them. Further along the beach disappears and there’s a series of sea caves where the swells disappear, breaking inside the cliff. The nearest land, of the sort where you could actually land, is a long, long way away. With our misjudgement of the tide, we’d lost an hour or two. This would have been ok, we still had five hours to sail the south side of the island, downwind and with the tide helping us along. But the 18 knots breeze we’d so enjoyed charging up the Solent had been gone for nearly two hours, and it didn’t look too promising that it was coming back. The idea had been a once-in-a-lifetime 15 mile screaming broad reach through the swells to St. Catherine’s Point, a quick gybe through the overfalls, then another 15 mile broad reach across the flatter water to Bembridge. With barely six knots of wind to power us, we were in reality facing a 30 mile downwind wobble. Jono, being the much better sailor, was able to coax his board onto the plane when a few gusts came through, and was keen to get on. I’m not as good a sailor, and a few kilos heavier, and was already tired from the upwind leg. I didn’t want to admit it to myself, but in reality I was a bit more than tired. Whenever I stood up my legs were shaking just from the effort of trying to balance. Even when a big gust hit, I still didn’t have enough to get comfortable on the plane, and could barely point lower than across the wind without dropping back off the plane. The only way I was going to get downwind was a straight run, balancing on the board with little to steady myself and swells hitting me from behind. This is the hardest and most unpleasant point of sail on a windsurfer. I tried for a few minutes and fell twice, one time getting tangled up under the rig as my backpack came loose and turned into a giant squid trying to pull me into the depths. I fought it off, climbed onto the board and tried and failed to get a forecast update on my mobile. With no safety boat this was the most dangerous part of the trip. It’s the most empty, and the direct sailing line takes you several miles off the coast. With the wind this light we could head further out hoping to find a stronger tide, and more wind, but if a mast or something major broke, or if exhaustion set in, we’d almost certainly be beyond a realistic chance of self rescue. I was gutted to be even thinking it, but I was beginning to think we should turn back. We slowly sailed several miles out to sea and away from the Needles hoping the wind would fill in before I accepted that going on could put us in real trouble. Jono was disappointed, being clearly still fit enough and able to make decent progress downwind where I couldn’t, but he was also able to see that being stuck with an exhausted and useless companion somewhere off the back of the Isle of Wight was going to make it hard to get back to a van parked mid way up the Solent. And so we gave up and turned around. And, for the second time that day, began sailing towards the Needles, battling the tide and wind, this time from the other side of the island. For the second time we crawled towards the iconic, scary rocks and all the rusting tombs that surround them, three steps forward, two steps back. It was now nearing mid-way between low and high tide, when the flow was at its strongest, and this time we were wondering if it was even going to be possible. 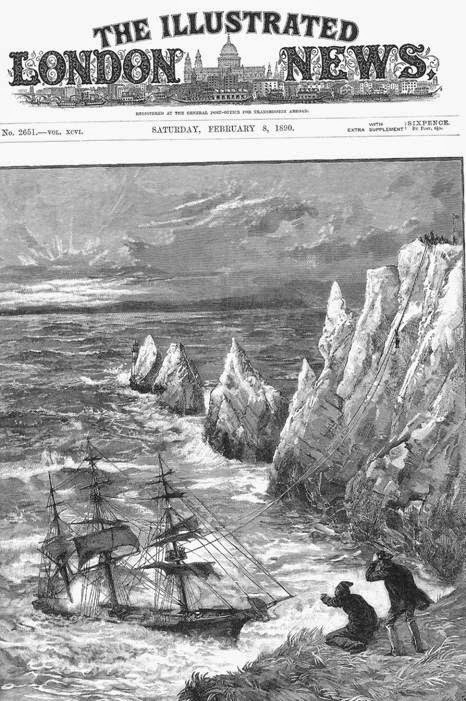 If we couldn’t make it past, we’d have little choice but to keep sailing to hold our position and hope the wind increased, or if it didn’t, that we could keep going until the tide began to slack off. Of course if that happened, we’d then have the tide against us for the next 15 miles back down to the van! It became clear that getting the tide right is a massive part of sailing around the Isle of Wight. It took another hour before we’d eked back to level with the Needles Lighthouse, and once again we freed off and rushed across in front of it, feeling massively relieved to be back inside. Then things really got weird. Ahead of us the water was dancing. It was being whipped up into little peaks, like icing on a cake. Intrigued, and frankly relieved to be in what felt like safe, sheltered water, I headed over and sailed into it. All around me little cones of water bounced up and down, like thousands of excited puppies. I was nearly so preoccupied I didn’t notice a large red channel marker bouy steaming straight towards me. I had to struggle to get out of the way, although since I could see the anchor chain disappearing into the water it was clear it wasn’t the one moving, I was, along with the water I was sailing through. I just managed to miss it, and saw it had a name on the side, the “Mid Shingles” bouy. I didn’t know what the Shingles were either, but it turns out to be a giant shoal of pebbles that moves about this section of the Solent, responsible for the destruction of plenty more tonnage of shipping. I didn’t have much time to think about this though, as the next thing to be motoring towards me was Hurst Castle itself. We’d dragged ourselves past it against the tide earlier, this time we were being flushed though the gap it guards with the tide behind us. We shouted to each other to head for the small beach past the castle, but I then dropped my rig, and by the time I’d pulled it up again, I wasn’t sure if I could get there before the tide swept me past. I got a lucky gust and nearly planed to close the gap to the shore, and then found the last thirty metres were a weird zone with almost no tide at all, and small clean waves generated from the overfalls breaking on a sandy beach. We struggled ashore for a much needed rest. Once through the gap, the last section of the journey was pretty straightforward, just a long, long downwind cruise down the Solent. At first the tide pushed us on our way, but towards the end it slackened off, meaning progress was painfully slow, but at least the water was flat. The only other consolation was the knowledge that we’d made the right decision to turn around. The wind didn’t come back, we wouldn’t have had our exhilarating planing run down the back of the island after all, and if we had gone on, we’d probably have run out of light again. Finally, after what felt like several hours of running dead downwind, and was in fact several hours of running dead downwind, the beach huts of Calshot came into view and we landed back where we’d started from at about six pm, after nearly seven hours on the water. We sailed about 80 km in total, this time with an average speed of a pathetic 7mph, much of it against the tide. In fairness, despite fairly poor preparation, bad but not awful planning, and technique that is at least improving, the failure this time around was down to the weather. The wind blew through much earlier than forecast, and we actually did well to read this and abort rather than than carry on, and get stuck once again far from home in the dark. We will, of course, have another go, hopefully this year, but more likely next Spring/Summer when the days are longer. Hopefully it’ll be relatively uneventful and I won’t have to write such a long blog post. To anyone who’s stuck this one out so long, don’t blame me, it was the bloody forecast. Nice story, next time decent wind. 20 knot southerly! That's enough work for me, think I need a day of strike action.